A killing jar is a tool used by entomologists to kill butterflies and other insects without damaging their bodies: a hermitically (sic) sealable glass container, lined with poison, in which the specimen will quickly suffocate. Voices from the Killing Jar depicts a series of female protagonists who are caught in their own kinds of killing jars – hopeless situations, inescapable fates, impossible fantasies, and other unlucky circumstances – each living in a world constructed from among the countless possible sonic environments of the Wet Ink Band. So writes composer-performer (and Smith College faculty member) Kate Soper of her “Voices from the Killing Jar,” a thrilling, if disquieting, song cycle for voice and chamber ensemble — and when I say chamber ensemble, I don’t mean the Academy of St. Martin in the Fields, unless they’ve added saxophone, percussion and electronics to their instrumentarium. In eight movements, depicting women of fact (Lucille Duplessis), fiction (Emma Bovary, Lady Macduff, Daisy Buchanan, et al.) and myth (Clytemnestra) in extremis, Soper deploys formidable vocal and compositional chops, demanding maximum virtuosity and agility of herself and the members of Wet Ink — and suspension of normal expectations of classical propriety of the listener. Yes, this is musical and dramatic ground that had previously been plowed by such composers as Peter Maxwell Davies (“Eight Songs for a Mad King”), George Crumb (“Ancient Voices of Children”), Osvaldo Golijov (“Ayre”) and even Arnold Schoenberg (“Erwartung”), among others. We can now place Kate Soper in their distinguished company, with extra credit for being both performer and composer. Most impressive is the way each of the eight women is placed in a unique sound world, at the same time that the entire cycle coheres musically and dramatically. I found the passages using spoken voice rather than singing to be marginally less effective, especially at the end of movement IV (“MIdnight’s Tolling: Lucille Duplessis”), perhaps because Soper’s voice is more expressive in music than in straight drama. But compositional felicities abound. To cite just one example, notice how the palilalia (pathological repetition a word or phrase) in the title of movement III (starting at 9:00 of part one) is depicted not just in the words, but also in the insistent and imaginatively varied repetitions of the note F-sharp in the ensemble. 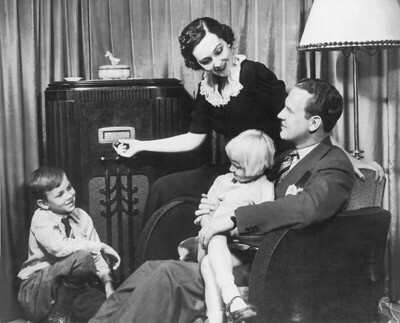 Strong stuff, not for casual listening, but which will draw you in if you let it. 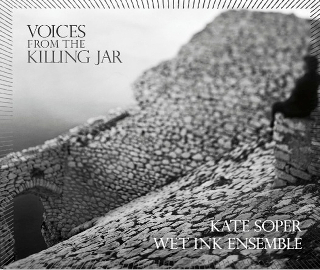 Kate Soper: Voices from the Killing Jar. Kate Soper, voice, Wet Ink. Available on CD and mp3 download from Carrier Records, and as a download in several formats including FLAC (strongly recommended!) at CD Baby.